Back in March of last year, reports began to surface about Google testing its own third-party delivery service, followed by a public launch in San Francisco and the surrounding area in the spring. 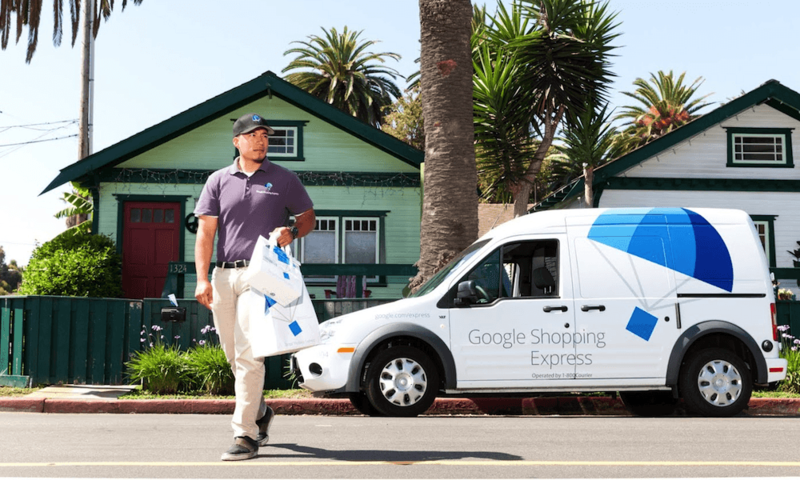 Similar to services like those from Ebay and Amazon's Prime membership, with Google Shopping Express the company arranges for third party pick up and same-day delivery of goods from a wide selection of popular local retailers throughout the Bay area. Starting today Google has announced it is expanding the program further to include a number of locations across Los Angeles and all of Manhattan in New York. LA locations include Culver City, Inglewood, Marina del Ray, Santa Monica, Venice, West Los Angeles, and Westwood with additional areas in Bel-Air, Beverly Hills, Pacific Palisades, Playa del Rey, Playa Vista and West Hollywood being added in the coming months. Google also said to expect coverage to expand into Brooklyn and Queens within the same time frame. Google Shopping Express offers delivery service on health & home products, baby items and apparel among other things. Supporting retailers include Target, Walgreens, Costco, Staples, Toys R Us, Guitar Center and many others. Visit google.com/express to see the available retailers and items, or you can browse the service on the go via the mobile Android and iOS apps. There are a couple promotions running right now including a free 6 month trial (with no hidden costs according to Google) as well as a $10 credit on your first purchase.